Loudoun Real Estate Group AGC to Pull a Plane for Special Olympics at Dulles Airport! Loudoun’s super REALTORS with Ask Gina & Company are dusting off their capes and getting ready to pull a plane down the runway to support the Special Olympics – and we need your help! Come Join our Team of Super Heroes! Visit http://pull.ask-gina.com/ to register and donate! It’s that time of year again– this September, join Ask Gina & Company of Keller Williams Realty, a Loudoun Real Estate Group, as we haul a jumbo jet down the runway at Dulles Airport! This fundraiser supports the Special Olympics, challenging teams to pull an honest to goodness airplane using a ROPE and MUSCLE. When September 20th comes around, the Ask Gina & Company Superheroes team will stand tall, capes fluttering in the wind — and you can too! Ask Gina & Company is looking for some heroic team members. If you want to be part of our super-posse, simply click here to sign up! 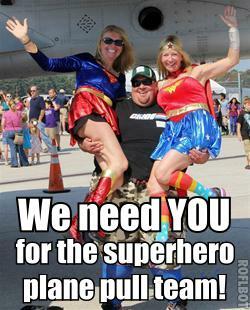 However, if you don’t want to change out of your Clark Kent outfit to pull the plane with us, please still consider donating money to Special Olympics Virginia, as every bit counts. DONATE TODAY and be entered to win! 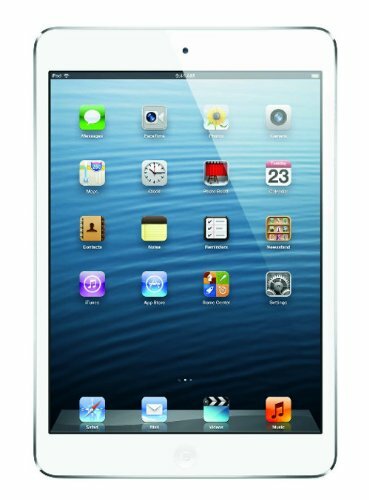 Melissa Bell with McLean Mortgage is sponsoring a drawing for an iPad mini! With every $5 donated, you will have a chance to win – feeling lucky? Share the love! You can contact us at 703-574-3478 for any additional information. Ask Gina & Company hopes you will join us as we give where we live and drag that jet down the runway at Dulles! Please visit pull.ask-gina.com to register, donate, and become a SUPER HERO!